Below you can view all the homes for sale in the Wyndham Park subdivision located in Arvada Colorado. Listings in Wyndham Park are updated daily from data we receive from the Denver multiple listing service. To learn more about any of these homes or to receive custom notifications when a new property is listed for sale in Wyndham Park, give us a call at 720-580-6756. Rare Ranch Townhome in Desirable Wyndham Park * Original Owner * Open and Bright Floor Plan with Vaulted Ceilings * New Carpet * New Interior Paint * Open Dining and Family Room with Gas Fireplace * New Furnace (Summer 2018) * Large Master Suite with Updated Master Bath * Main Level Laundry * Finished Basement with 3rd Bedroom and Full Bath * Deck * Oversized Garage with Storage * Close to Shopping, Restaurants, Parks & Trails. MLS#4303734. Steps Real Estate 104. 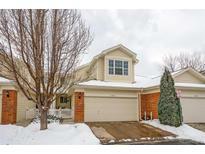 Close to Family YMCA at Eldridge & 64th, and close to Arvada West Town Center. Check out the Virtual Tour! MLS#8195449. Your Castle Real Estate Inc. Desirable Wyndham Park Townhome with Finished Walkout Basement * Original Owner * Lovingly Cared For * Great Location Backing to Water Feature/Greenbelt * Mountain & Denver Skyline Views * Designer Colors * Upgraded Flooring * New Carpet * Open * Vaults * Large Open Upgraded Kitchen with Breakfast Bar * Large Formal Dining * Large Great Room with Soaring Ceilings, Gas Fireplace with Custom Built-in Shelves * Great Room Flat Screen TV, Receiver & Surround Sound Speakers Included * Loft Overlooking Great Room * Large Vaulted Master Suite With Master Bath, Euro Shower Door & His & Her Closets * Large Bedrooms * Walkout Basement with Family Room/Rec Room For Family Fun * Study/Office or Easy 3rd Bedroom * Easy In-Law Possibility * Tons of Storage * Step Out to Your Private Luxurious Hot Tub Oasis * Close to Shopping, Restaurants, Parks & Trails! MLS#2382351. The Carlton Company.